When is driving under the influence – DUI – a felony in California? The California Office of Traffic Safety reports that nearly 200,000 DUI arrests are made every year in this state. Most DUI charges are misdemeanors, but in some cases, DUI will be charged – and will be prosecuted aggressively– as a felony. Are you at risk for a felony DUI charge? 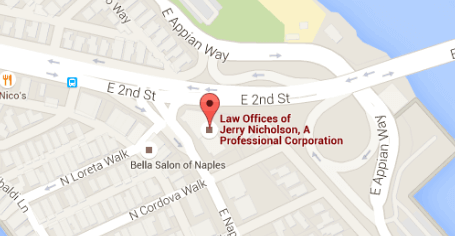 How can a Long Beach DUI law firm help? If a police officer stops you in traffic and arrests you for driving under the influence in southern California, you cannot expect the court to be lenient. Even a misdemeanor driving under the influence offense is considered a serious crime. If the police stop you in traffic, pull off to the right – safely and immediately. Roll your window down, turn off the vehicle, and set your hands atop the steering wheel. If asked for your license, registration, or proof of insurance, present them. You do not, however, have to answer additional questions after presenting your license or other documents. Do not give your consent to a search, but do not resist the police in any way. The “legal” limit for California drivers is a blood alcohol content (BAC) level of 0.08 percent. That is about what you consume with a 12-ounce beer or a six-ounce serving of wine. Of course, you’ve probably already heard the best advice: Don’t Drink and Drive. If you choose a designated a driver, make it someone you know and trust. Rides-for-hire – limos, taxicabs, and buses – are everywhere in southern California. You should also consider the ride-share apps and services provided by companies like Uber and Lyft. Bicycling while impaired is dangerous, so do not make a bicycle your transportation alternative. In California, CUI (cycling under the influence) is a misdemeanor, punishable upon conviction with a $250 fine and the loss of your driving privilege for a year. 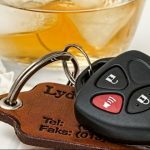 WHAT COUNTS AS A FELONY DUI IN CALIFORNIA? Provided that there are no “aggravating” factors linked to a DUI arrest – meaning no personal injuries and no fatalities – a defendant will probably face a misdemeanor charge for a first, second, or third DUI offense in California. – Driving under the influence caused the injury or death of one or more other persons. – A defendant has three or more DUI or wet reckless convictions in the previous ten years. – A defendant has at least one previous felony conviction for DUI. WHAT CONSTITUTES DUI CAUSING INJURY OR DEATH? 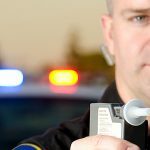 CAN PRIOR CONVICTIONS TRIGGER A FELONY DUI CHARGE? DUI laws in California are crafted so that subsequent convictions result in incrementally harsher penalties. 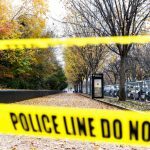 The thinking is that most drivers will “learn their lesson,” so to speak, after a first or second DUI conviction, and those who don’t should face more severe punishments. If you’ve been convicted three times within the previous ten years for any combination of the charges listed below, your fourth DUI offense will very likely be charged and prosecuted as a felony. WHAT ABOUT PREVIOUS FELONY DUIs? Once an offender has been convicted of a felony DUI in California, any subsequent DUI charge – even if no one is injured and there is no reckless driving – will be filed and prosecuted as a felony. Fighting a felony driving under the influence charge in California is not easy. A suspect must be defended and represented by an aggressive and skilled DUI lawyer with substantial experience in felony DUI cases. Your attorney can provide the advice and representation that a felony DUI defendant will need. Your lawyer will also examine the charge and attack the weakest point in the state’s case against you. For example, were you legally stopped by the police, or were your rights violated? When you tested at or above the legal limit, was the test administered properly, and were the results accurate? WHAT ARE THE PENALTIES FOR A FELONY DUI CONVICTION? In cases where the evidence against a felony DUI defendant is strong, and a conviction is assured, a good DUI attorney will argue aggressively on the defendant’s behalf for reduced or alternative sentencing, which will almost certainly include counseling and treatment for alcohol abuse. Even in the best scenario, a felony driving under the influence conviction in California can devastate someone’s life. If you are arrested and charged with any driving under the influence violation – whether the charge is a felony or a misdemeanor – in southern California, obtain the counsel of an experienced Long Beach DUI attorney as quickly as possible. 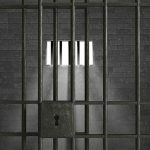 While the penalties for driving under the influence felony conviction are severe, even a misdemeanor DUI conviction can land you in a California jail for up to a year. If you face driving under the influence charge in this state, you can and should fight that charge. Nothing is more important than your family, your freedom, and your future.